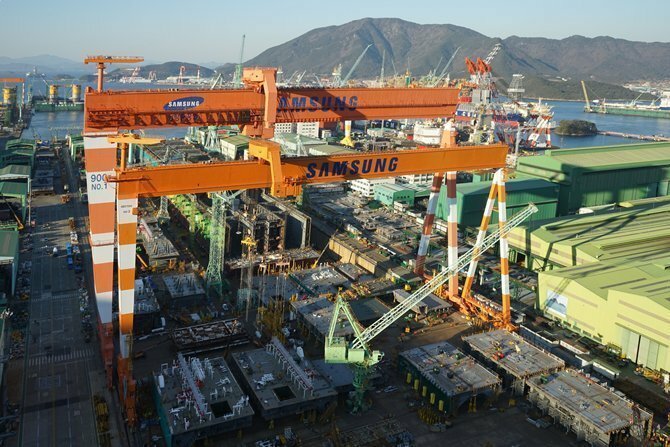 Two significant projects underway for Total at Samsung Heavy Industries are facing delays in the wake of the tragic crane accident at the yard on May 1, which killed six workers. The French energy giant said work related to the Martin Linge project, 180 km west of Bergen in the Norwegian North Sea, were suspended until June 1, and this has delayed shipment of modules from the yard to Norway. Installation of the modules and lifting operations can only be performed in the summertime due to prevailing weather conditions in the Norwegian North Sea and these have now had to be postponed until summer 2018. Taking into account subsequent hookup and commissioning operations, the production start has now been pushed back to the first half of 2019, a year later than originally planned. Meanwhile, Samsung Heavy restarted work on the Nigerian deepwater Egina FPSO following a two-week suspension after the crane accident. Total said in a release that the impact on the project, expected to start up during the second half of 2018, will be “limited”. The Egina development is in block OML 130, 150 km off the Nigerian coast. As for the central processing facility for the INPEX-operated Ichthys project offshore northwest Australia, this had already departed the Geoje yard several days before the accident and is now installed on the field. Start-up of Ichthys has therefore not been impacted and should go ahead during 1Q 2018. Two cranes collided at Samsung Heavy’s main yard on May 1, causing one crane to fall onto a platform under construction for Total.